The home of a comprehensive collection of artifacts and exhibits depicting Atlantic Canada’s aviation history, ranging from the first heavier-than-air flight in the British Commonwealth, the Silver Dart, to jet aircraft of the ’60s, ’70s & ’80s. Included are photos, uniforms, medals, aircraft engines, weapons and other aviation memorabilia, with over 20 vintage aircraft on display. 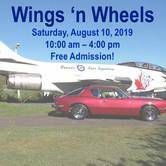 Join us for our 4th Annual Wings 'n Wheels. 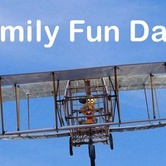 20+ aircraft 30+ cars Hundreds of artifacts BBQ and Refreshments! Games and prizes, face painting, and much more for kids of all ages! See our volunteers in action as they work on the latest plane restoration. Calling All Juniorpreneurs! Does your child have an entrepreneurial spirit?